Sintra is a village quite different from other places we visited in Portugal. It has a sense of Romanticism, mystical, fairy tale – like atmosphere and packed with castles, monuments, interesting and historical architecture. It’s just one of those “must see” places, which means very touristy activities. So be prepared for long queues, overpriced entrance fees and overcharged…well…everything. Avoid driving to Sintra, as parking is a nightmare, rather take a taxi (from Cascais) or train (from Lisbon). The weather can be a bit unpredictable so bring warm clothing. There’s also a lot of walking, so good walking shoes are a must. 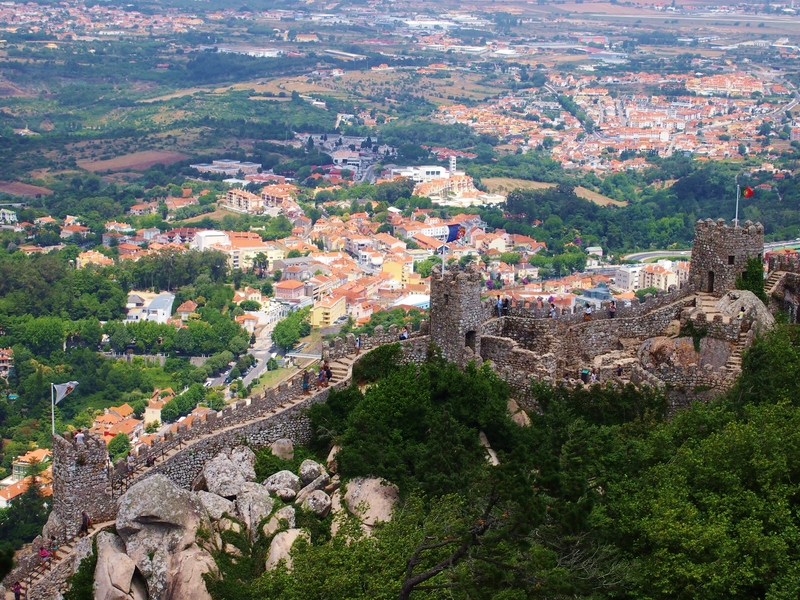 There are many attractions in Sintra and you would need more than a day to see all of them. 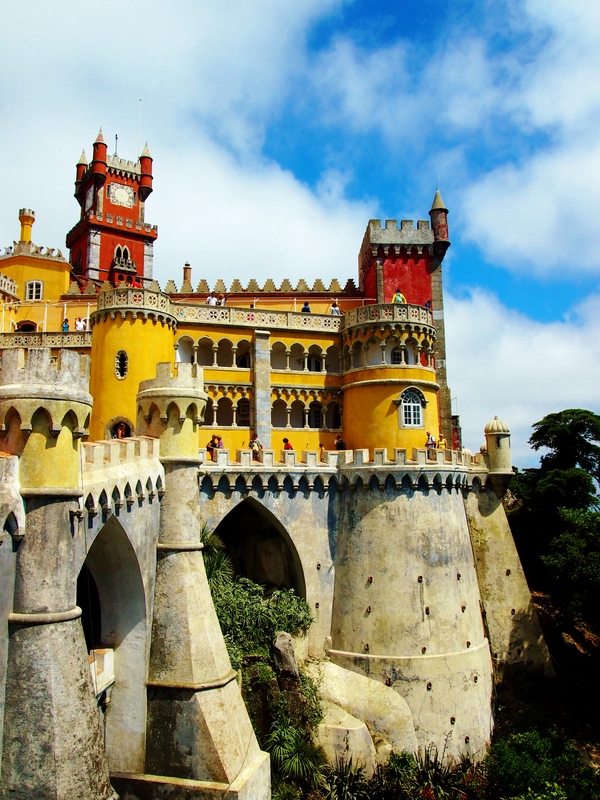 We chose to have a day trip to cover three sights; Pena castle, Moorish castle and Quinta da Regaleira. Pena castle is a good starting point. Pena castle is like something you would see in a Disney/fantasy movie. 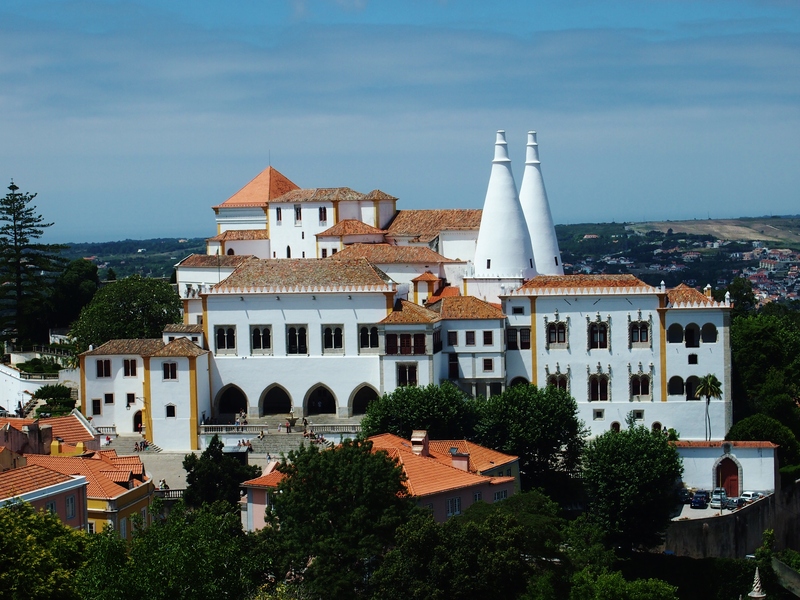 It is basically a medieval convent turned summer residence for the Portuguese royalty during the 19th century. It’s situated on top of a hill so take a taxi or the local bus up from city center. Do not make the mistake of walking from city center to Pena, you will regret this, because the way up is STEEP and gruesome. There’s a beautiful garden in the area surrounding the castle, its very nice for strolling. A good idea is to pack a lunch with you, as the restaurants in the most tourist populated area in Sintra, are quite bad (in our opinion). Not far from Pena is the Moorish castle, this is not so much a castle as a series of long walls crowning the hill with great views. Perhaps guys more than women would enjoy this sight..? 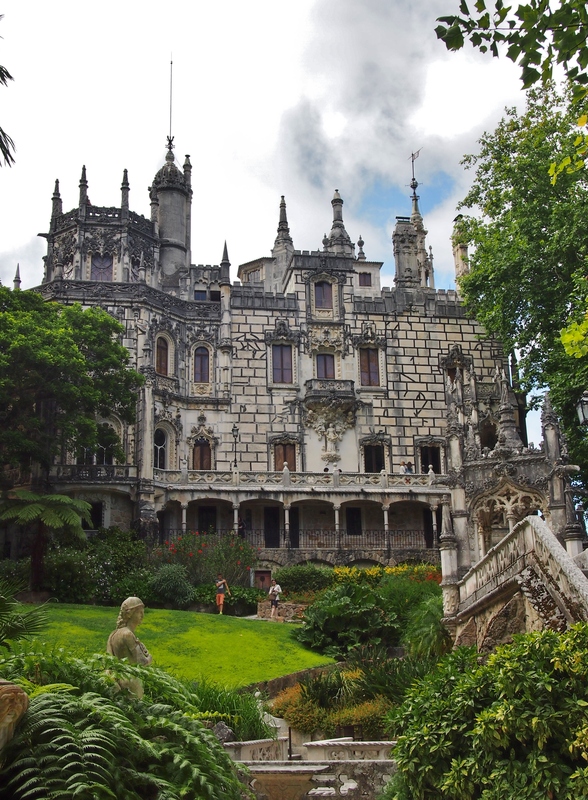 The Quinta da Regaleira, a UNESCO World Heritage site, is a park filled with sculptures, buildings and caves. The park has enough references to the Knights Templar and other theologies to fill two Dan Brown novels. Definitely worth a visit and some pictures.